Let me introduce you to my absolute favorite and super addicting summer detox juice. It’s super spicy. Enough to notice the heat, at least. Sweet enough to make you smile. And ultra refreshing. This juice combines two foods that couldn’t be more opposite, yet go surprisingly well together: watermelon and cayenne pepper. Together, these ingredients work to enhance your health and refresh your body inside and out. Besides quenching your thirst, watermelon is a nutrient-rich natural diuretic. It relieves bloating from the high-water content and provides nourishing nutrients like Vitamin A and C. Vitamin C is a well-known antioxidant that strengthens our immune system, allowing our bodies to fight off infections and diseases. As well, watermelon contains cancer-fighting lycopene. Its lycopene content is even greater than that of tomatoes. Juicing watermelon—as is done in this recipe—is a particularly great way of consuming this bright red fruit. 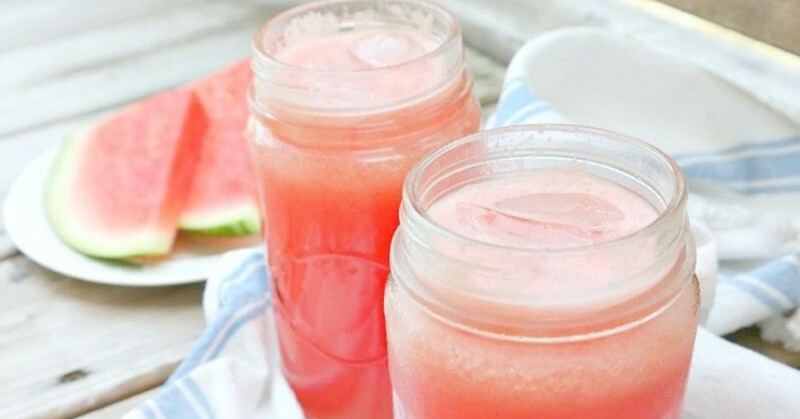 Watermelon juice contains citrulline, an amino acid that has been found to protect against muscle pain. Furthermore, watermelons are known to be super cleansing and alkalizing. They help flush everything out! Cayenne pepper revs up your metabolism and helps burn a few extra calories. This South American pepper is rich in flavanoids and carotenoids, which contribute to eye health and slows the onset of age-related macular degeneration. Cayenne also contains capsaicin, which has been proven to be effective in relieving pain, as well as improving joint function and stiffness in muscles. Cayenne serves as a great remedy for those suffering from rheumatoid arthritis or gout. Moreover, due to its spicy kick, consuming cayenne peppers raises your body’s temperature and makes you sweat. Though some of us are not too fond of sweating, this natural occurrence is quite beneficial to our health. Sweating allows our bodies to detoxify by flushing out toxins and other unwanted substances. In addition, sweating opens your pores and helps keep your skin looking fresh. Maybe you prefer less spicy, so use less cayenne pepper, but the amount of each ingredient I listed out for you ends up being PERFECT. I promise. Pour into jars and top with ice cubes. This article is shared with permission from our friends at theglowingfridge.com. Hi there ! You’ve got extremely helpful articles out there. Big Pharma must really be cursing you right now. Keep them coming and be immensely blessed. Kind regards. The next morning I had ZERO pain. This happened several times until I finally went to my urologist who, after dousing my body with radiation, informed me I had NO kidney stone. THEN I went to my chiropractor who, after showing her where the pain was, put her finger on the exact vertebrae that was causing the ‘referred’ pain. After just one adjustment and one simple acupuncture treatment, I walked out without any problem whereas, when I first arrived, I could barely walk and had difficulty driving to her office. I am a fan of watermelons. Add cayenne and what I’d have is fast metabolism—just right for my weight loss goals! Thanks for this recipe, Sara!